Now squeezed in with his friend Franklin’s family, filling in as a security guard at Chicago’s Conrad Hilton and hiding behind the name Bill Grimshaw, private eye Smokey Dalton hopes he’s found a safe place to hide himself and ten-year-old Jimmy, the young boy he spirited out of Memphis after he witnessed Martin Luther King Jr.’s killing and was menaced by the real assassins (A Dangerous Road, 2000). But during the week before the 1968 Democratic National Convention, Chicago is hardly safe for any black man: Cops are everywhere, waving their billy clubs in every nonwhite face they see. Then a neighbor, Marvella, notices someone tailing Smokey—a tall black guy, with a full Afro and an acne-scarred face. And Jimmy’s new pal Brian is tortured and murdered, then left on Smokey’s doorstep. Fearing it’s the work of the same FBI agitator who caused such grief in Memphis, Smokey stows Jimmy in the toney penthouse of his former love Laura Hathaway—imperious, rich, and white—and, with Franklin’s help, tails his tail. Sinkovich, a white cop, and Johnson, a black one, help out, but still Mr. Afro finds Laura’s penthouse, and Smokey is forced into wet work while the FBI and the police turn Chicago into a national disgrace. A blistering rendition of the ’60s racial wars marks this series as a standout as early as its second entry. 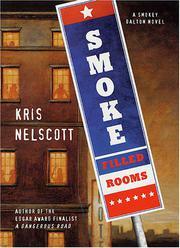 You don’t need to be a fan of private-eye novels to admire Smokey: You just need a conscience.